Genevieve Purinton was a sad woman in 1949, when she was informed that her newborn daughter had passed away right after birth. She didn’t get to see her, let alone hold her. Now 88, Genevieve finally got to meet her supposedly deceased daughter. As it turns out, Genevieve’s daughter, Connie Moultroup, was adopted. She lived for 69 years without knowing anything about her biological mother. 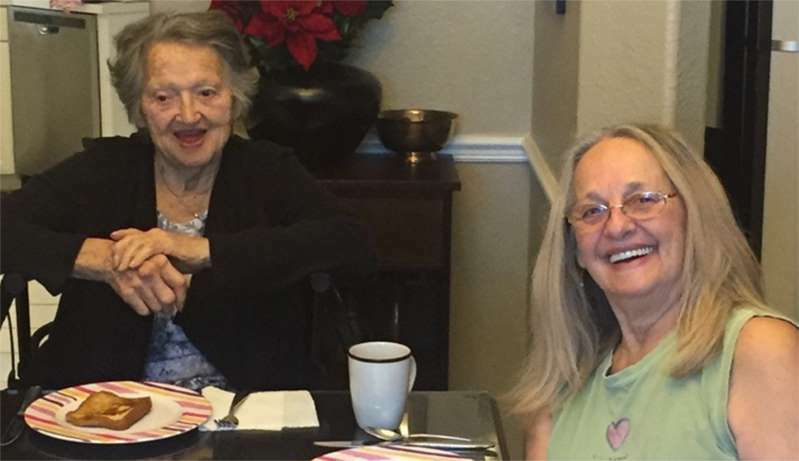 Mother and daughter would later reunite as a consequence of an Ancestry DNA testing kit, gifted to Moultroup by her daughter for Christmas. Moultroup’s daughter, Bonnie Chase, narrates her mother’s childhood. Moultroup’s adoptive mother died five years after the adoption, and the step-mother who came along later was pretty bad behavior towards Moultroup. Like any child in trouble, Moultroup would dream of when her own mother would come to her rescue. Chase states that finally reconnecting with Purinton is therefore a realization of a life-long dream for her mother. When Chase gifted her mother with the DNA kit, she didn’t really think it would lead to such a massive revelation. In her words, “It was just a cool Christmas present and it has completely changed our lives.” Chase got her own kit too, which led her to cousins from the Purinton family. They’re the people who told her about Purinton. Mother and daughter spoke for the first time on September 8, on the phone. Moultroup sent her birth mother a card in the mail, and when Purinton called, she claimed that she thought she was her mother. Purinton mentioned Moultroup’s original name, Margaret Ann Mitch, which Moultroup did remember. Chase talks of the joyous effect the revelation has brought to the family. “We just cry a lot,” she’s quoted as saying. The reunion has been a very emotional event for the family, and they’re just glad and grateful to have each other back. “It’s been really amazing,” Chase went on to say. While mother and daughter reunited, Purinton also got to meet her other grandchildren and great grand children for the first time. As for Moultroup and Chase, that’s a whole lot of cousins, nephews, and nieces, among a bunch of other relatives to finally get familiar with. Let’s look at this incidence as a testimony that all is not really ever lost as long as you keep your hope alive. Moultroup never gave up on her dream for close to 70 years, and it finally became a reality.